We believe that dance can make a massive impact on physical and mental wellbeing, no matter what age you might have arrived at. You’re never too old to put on your dancing shoes! 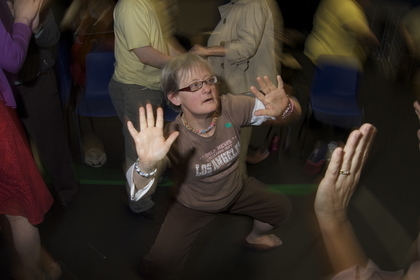 Life Circles was a two-year collaborative project between Core Dance and Take Art, aimed at supporting the life-long creativity of older people living in care settings, through innovative, imaginative and inspiring community dance practice. 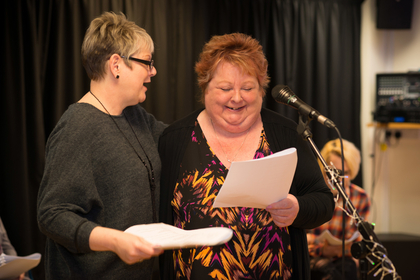 Through sessional activity, training and mentoring, Life Circles has enabled over 200 individuals in care settings in the South West to discover their creativity via physical participation in dance. The below Life Circles film sections and the full film at the top of the page document the journey of three community dance artists honing their practice with the frail elderly. If you are an artist, dancer, poet, musician, teacher, care worker or anyone looking to develop sessions with the elderly, it is our hope that this film will offer a valuable resource, inspire you with new ideas and give you an opportunity to reflect on your current practice. 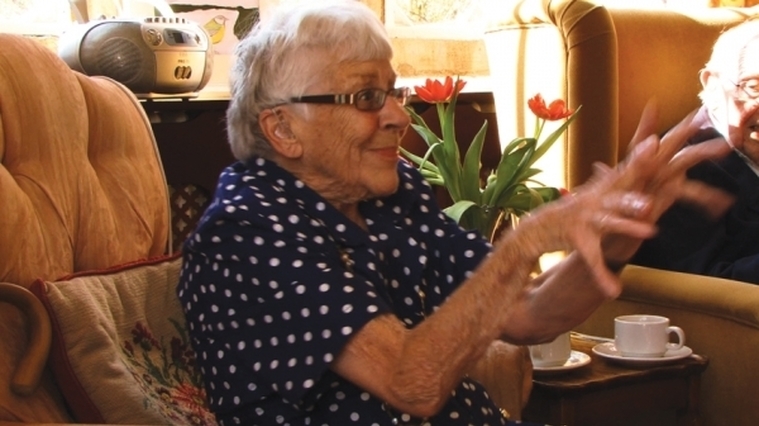 The Life Circles film illustrates the benefits of working through dance, giving a beauty and integrity to people at the end of life that is truly inspiring. Partners in kind for Life Circles: Pavilion Dance South West, Activate Performing Arts, Dance in Devon, The Foundation of Community Dance, Age UK, NHS Somerset, The Alzheimers Society and Arts & Health South West.